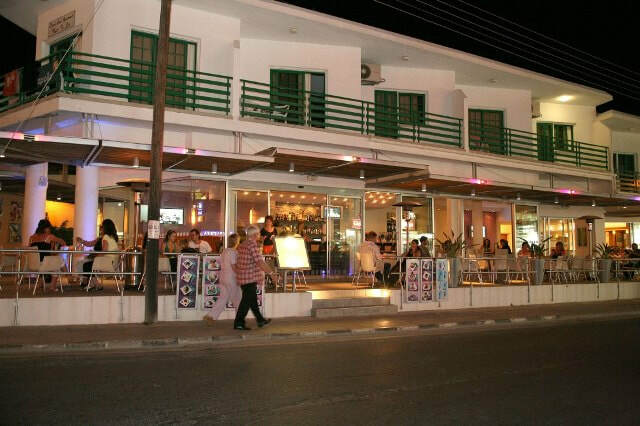 The Lobby bar is located at the Eligonia Hotel apartments which are located right opposite the main Ayia Napa square and monastery on Makarios Avenue. Open all year round, the Lobby Bar serves breakfast, lunch and dinner and drinks through to the early hours. The closest hotels to Lobby bar are Eligonia, Elenapa Apartments and Napa Plaza. The closest bars to the Lobby bar are Hard Rock cafe and the Square Bar.